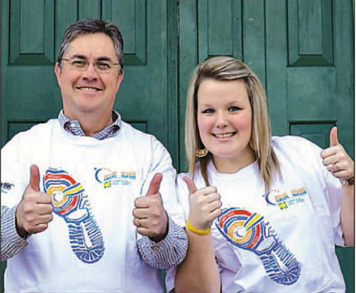 Dr. Eddy Campbell, chairman, and co-chairwoman Jenny Thistle are excited about UNB Fredericton's first ever Relay For Life set to take place on Saturday, January 26. The university is looking for students, staff and alumni to form teams and sign up to fight back against cancer. Contact Jenny Thistle at unbrelay@gmail.com to sign up.